Discover the pillars of a solid STEM foundation. 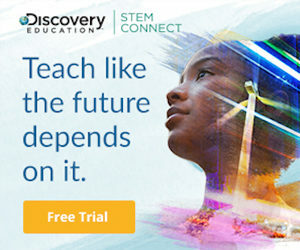 The way to improve your school’s STEM offerings, and boost the learning of all your students, is to combine commitment from leadership, effective professional development, and high-quality resources. Ask any educator about the importance of STEM, and their head will start to nod up and down before you can even finish the question. Everyone, from principals to teachers to parents, knows how important it is for students to learn the key skills needed to solve problems in today’s — and tomorrow’s — world. But ask the same people how to create a robust STEM program in their schools and you’re more likely to get a pause before an answer. It is, of course, much harder to align curriculum to support STEM, give teachers the tools they need, and provide the time to properly implement them than it is to recognize the need in the first place. What school leaders and teachers need to know is that while making this transition is complex, there is a clear set of guidelines that can help. And for schools that go through the proper steps and lay the appropriate groundwork, the resulting success can be deeply embedded and the benefits long-lasting.